These mindful listening exercises will help you to come to a better understanding of what mindfulness actually is, and they'll help you to experience mindfulness right here and now! When was the last time you REALLY listened to the sounds that are taking place around you? Most of the time you are surrounded by a whole range of environmental noises and most of them barely register in your awareness. Much like the noise inside your mind, external noises often go unnoticed. The noise in your mind and the noises in the world around you both form an invisible backdrop to your entire life. Stop and notice some of the sounds around you right now...the sound of the computer humming away under your desk. The car that passes by in the distance. The sound of the television in the next room. The birds outside. 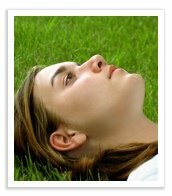 All these sounds present you with an excellent opportunity to experience the serenity that comes from mindful listening. Stop whatever you are doing and just listen. Sounds simple doesn’t it? Well it is simple, but this mindfulness activity does require some concentration or you’ll find your mind wandering off. You might say to yourself, "For the next five minutes, I will practice mindful listening." Now stick with it for that amount of time. Let the sounds you hear be your anchor to the present moment. Don’t judge what you hear or analyse the sounds, just listen, observe and experience them. If you become restless or impatient, notice these feelings and allow them, but do not react to them. Listen intently, but without straining. This is all about being "here and now" - nothing more. This simple mindful listening exercise can really open up your awareness to a whole new level of silence within you. You may experience moments in which you feel as though you are waking up to a part of you that, until now, had been hidden behind a wall of noise. This is mindfulness. By listening to a specially prepared mindfulness bell recording, the simple act of mindful listening becomes a deeper and more powerful form of mindfulness meditation. This type of focussed listening is an excellent way to learn meditation, and it's also a great way to develop a mindfulness technique that you can use to clear your mind during everyday life. As a alternative to listening to the environmental sounds or mindfulness bells, you can also listen to something more enjoyable, like relaxing music for example. 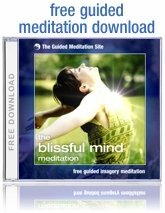 Follow this link to listen to some free meditation music and try this same mindful listening technique while using the music as your point of focus.